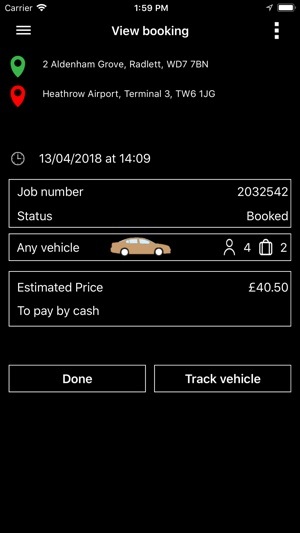 Use our simple but effective Herts Cars smartbooker App. 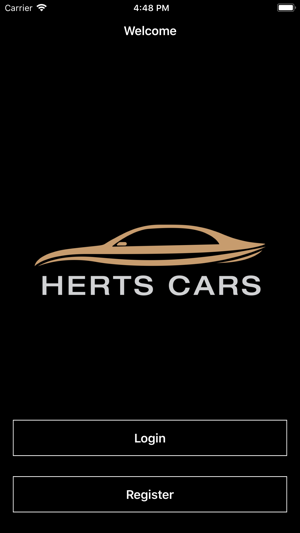 We have been operating in Hertfordshire for over 20 years gaining an excellent reputation because of our high standards. We provide airport transfers, chauffeur service, courier and minicab/taxi services. Our key to success is investing in the latest equipment and emphasis on customer satisfaction. 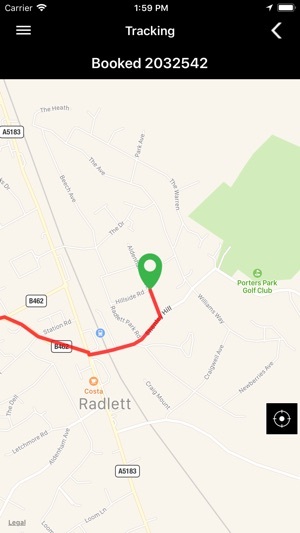 We operate in Radlett, Watford, Borehamwood in Hertfordshire. 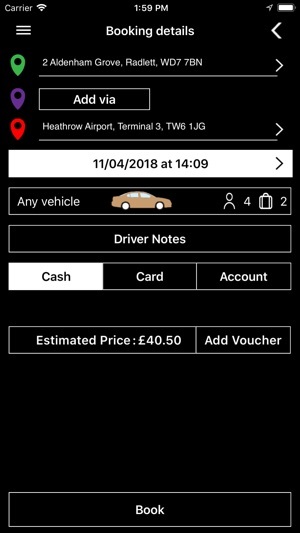 All drivers are vetted and have enhanced C.R.B checks and carry ID cards, smartly dressed and customer service trained..
Would be good if the app had driver & customer ratings, the app notification says download the app and a link that isn't clickable? Bookings are only stored locally rather than synced. I sent feedback 2 months ago but still no update. Once the app has a new & better UI/UX the reviews should change. I am not sure why small companies commission a Mickey Mouse app just to have one. They do their business no favours and this is a prime example. It’s just a dreadful, appalling interface that you can type neither pick up or distinction into. The search is unusable and finds nothing. In a word- pointless. How hard can it be to develop a simple can booking app? Worst app - absolutely useless - reinstalled time after time and every time need to input data. Difficult to locate and set up favourite locations. Better to call - excellent call handling - whoever set up the app should provide refund.